See our CPD arrangements for electricians in Tasmania page for an explanation of the two different CPD schemes that apply to TREA events. Launceston: 5-7:30pm, Tue 23 Oct, Rexel Electrical Supplies 85 Bathurst Street. Hobart: 5-7:30pm, Wed 24 Oct, Talbot Hotel, 131 New Town Road, New Town, Parking at rear. Henry Hodgson, Manager, Electricity Standards and Safety, Department of Justice will present on Common Defects in Solar Installs and provide an overview of the anticipated Battery Standard AS/NZS5139. Jack Gilding, Executive Officer of TREA will present on the end of the Legacy FiT, the solar FiT review and relevant changes to metering and tariffs. The session is free for TREA members, $50 for non-members who wish to claim CEC CPD points. Tasmanian electricians can claim 2 Tasmanian CPD points. CEC Accredited installers can also claim 35 CPD points for this event. Sonnen Australia in conjunction with TREA will be delivering training on the installation of their eco 8 product range. CEC accredited installers will received 35 CPD points on completion of the online course. The face-to-face sessions will be scheduled once sufficient numbers have completed the online section. Clean Energy Council (CEC) approved CPD events are available on the CEC’s Solar Accreditation website. Was held in Launceston and Hobart on 22&23 May 2018. Trevor Eisler, Technical Service Manager for SOLARWATT Australia presented this 4 hour training session based on the MyReserve modular Li-ion battery system. CEC accredited installers who attended were issued 50 CPD points. Tasmanian electricians who attended can claim 3 Tasmanian electrician CPD points for this event. Was held in Launceston and Hobart on 5 & 6 December 2017. Tigo Smart Modules Installation: system overview and basic design guideline, online configuration, physical installation, and quick commissioning. Tigo Smart Modules Commissioning: introduction to the Tigo components, commissioning process for the Management Unit using the online configuration wizard and for the Cloud Connect using the Tigo SMART App, using module-level data for troubleshooting purposes. TREA provided a short update on a number of recent changes of relevance to the solar industry including metering contestability , the new CBOS online system for renewing electrician licencing, new TasNetworks Service and Installation Rules and the new EWR portal. At the Launceston event on 5 December, Neelan Mahendran, Business Manager, Lightning Protection and Renewables, IPD Group presented on the design and installation of Central Protection which is required from 30 March 2017 onwards for multiple inverter installation of over 15 kW under the provisions of AS4777.1:2016. TREA members who attended earnt 45 CEC CPD points. Tasmanian electricians who attended can claim 3 Tasmanian CPD points for the Launceston event and 2 Tasmanian points for the Hobart event. This event was organised directly by the Clean Energy Council. Contact the CEC for any CPD point queries. New national arrangements for competition for providing and reading electricity meters come into effect from 1 December 2017. In Tasmania this will mean that from this date, installation of new and replacement meters will be the responsibility of a ‘metering coordinator’ appointed by retailers (Aurora Energy and ERM) rather than TasNetworks. TasNetworks held electrical contractor trade nights in September to explain this changes, and associated changes including a new connections and alterations process, a new online EWR portal, and changes to the Service and Installation Rules. Tasmanian electrician CPD points were issued for attendance. Contact TasNetworks with any queries. Solar diversion increases the benefit of solar PV by diverting excess solar energy into hot water heating. Scott Young from Catch Power described their solar diverter products (Blue Catch and Green Catch) and presented data from actual installations. TREA provided an update on current policy issues. TREA members who attended earnt 25 CEC CPD points. Tasmanian electricians who attended can claim 1.5 Tasmanian CPD points. TREA: current policy issues including the implications of tariff reform for the solar industry. New Building Acts and Solar was was held in Launceston and Hobart on 30 Nov and 1 Dec 2016. Michael Plunkett presented on behalf of Consumer, Building and Occupational Services (CBOS), Department of Justice. He explained the two new Acts and key changes, including the new treatment of solar PV installations and the new contract requirements where electrical work on buildings is valued at over $20,000. Phil Connors from Protek Building Surveying Services described the documentation requirements for solar PV installations that are not classified as Category 1 (Low risk) and explained the service that Protek will provide to assist in these cases. Tasmanian licenced electricians who attended earned 2.5 Tasmanian CPD points. TREA members who attended earned 25 CEC CPD points. Regulation Update was held in Launceston and Hobart on 11 & 12 October 2016. TasNetworks presented on the new guidelines for connecting embedded generators and the new requirements that come into effect with changes in AS/NZS 4777.2:2015 being mandatory from 9 October 2016. Henry Hodgson from Consumer, Building and Occupational Services (CBOS) answered questions including the operation of the inspection system contracted to TechSafe. John Britten from CBOS explained the new arrangements for CPD for electricians in Tasmania. Jack Gilding, TREA Executive Officer provided an update on current TREA Tasmanian activities. All electricians who attended are eligible for 2 Tasmanian CPD points. TREA members who attended earned 35 CEC CPD points. Download presentations: TasNetworks on AS4777, TREA on current activities. Off-grid design, on-grid monitoring was held in Launceston and Hobart on 17&18 May 2016. Lindsay Hart, Sales Manager Australia/NZ for Selectronic, who has lived off-grid for 22 years shared his experiences both personally and corporately. Solar Analytics explained their Smart Monitor which provides a hardware and software solution to track the performance of solar energy systems in real time. TREA members who attended earned 30 CEC CPD points. Solar Power Info Night was held in Launceston and Hobart 4&5 April 2016. Prateek Patel from Sol Distribution presented on the company and the quality of the products they distribute, including partners’ capabilities and product range. Michael Rush and Gavin Merchant from Solar Edge described their battery storage solution compatible with the Tesla Powerwall Home Battery. Jack Gilding, TREA Executive Officer outlined the role that greater support for all forms of renewable energy could play in the solution to our energy security. TREA members who attended earned 25 CEC CPD points. Electric futures for Tasmania, a public event jointly sponsored by TREA and the Tasmanian Branch of the Australian Electric Vehicle Association (AEVA) was held in Launceston and Hobart on 18 & 19 November 2015. Electric vehicles were on display at both events. Clive Attwater presented on of the opportunities and barriers to take up of electric transport in Tasmania (Fact sheet). Jack Gilding, Executive Officer of TREA explained the process of tariff reform and the implications of ‘cost reflective pricing’. 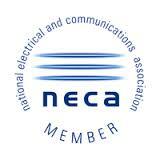 TREA members who attended earned 30 CEC CPD points. Design of solar+battery systems was held in Launceston and Hobart 14&15 September 2015. Lindsay Hart, Sales Manager Australia/NZ for Selectronic, presented on grid connected solar+battery systems, including; understanding the basic functions, what components are required, sizing a system. Dr Mark Davies, Network Performance Team Leader for TasNetworks explained the new connections requirements for solar PV. TREA members who attended earned 40 CEC CPD points. Solar issues update was held in Launceston and Hobart 29 & 30 April 2015. Henry Hodgson, Electrical Safety Officer, Building Standards and Occupational Licensing presented on common defects found in inspection of solar PV, Kosta Bourandanis and James Grant from Apollo Energy presented on the SunLock racking system, Jack Gilding explained the impact of the current meter replacement program being undertaken by TasNetworks. TREA members who attended earned 40 CEC CPD points. CEC Installer night was held at Hydro Tasmania in Hobart on 4 September 2014. All enquirers re CPD points should be directed to the Solar Accreditation team.